Wei, Y. Q., Guo, H. C., Dong, H., Wang, H. M., Xu, J., Sun, D. H., Fang, S. G., Cai, X. P., Liu, D. X. and Sun, S. Q. (2014). Development and characterization of a recombinant infectious bronchitis virus expressing the ectodomain region of S1 gene of H120 strain. Appl Microbiol Biotechnol 98(4): 1727-1735. Guo, H. C., Sun, S. Q., Jin, Y., Yang, S. L., Wei, Y. Q., Sun, D. H., Yin, S. H., Ma, J. W., Liu, Z. X., Guo, J. H., Luo, J. X., Yin, H., Liu, X. T. and Liu, D. X. (2013). Foot-and-mouth disease virus-like particles produced by a SUMO fusion protein system in Escherichia coli induce potent protective immune responses in guinea pigs, swine and cattle. Vet Res 44: 48. He, X., Jia, H., Jing, Z. and Liu, D. (2013). Recognition of pathogen-associated nucleic acids by endosomal nucleic acid-sensing toll-like receptors. Acta Biochim Biophys Sin (Shanghai) 45(4): 241-258. Guo, H. C., Sun, S. Q., Sun, D. H., Wei, Y. Q., Xu, J., Huang, M., Liu, X. T., Liu, Z. X., Luo, J. X., Yin, H. and Liu, D. X. (2013). Viroporin activity and membrane topology of classic swine fever virus p7 protein. Int J Biochem Cell Biol 45(7): 1186-1194. Liao, Y., Fung, T. S., Huang, M., Fang, S. G., Zhong, Y. and Liu, D. X. (2013). Upregulation of CHOP/GADD153 during coronavirus infectious bronchitis virus infection modulates apoptosis by restricting activation of the extracellular signal-regulated kinase pathway. J Virol 87(14): 8124-8134. Fang, S., Xu, L., Huang, M., Qisheng Li, F. and Liu, D. X. (2013). Identification of two ATR-dependent phosphorylation sites on coronavirus nucleocapsid protein with nonessential functions in viral replication and infectivity in cultured cells. Virology 444(1-2): 225-232. Hemu, X., Taichi, M., Qiu, Y., Liu, D. X. and Tam, J. P. (2013). Biomimetic synthesis of cyclic peptides using novel thioester surrogates. Biopolymers 100(5): 492-501. Zhong, Y., Liao, Y., Fang, S., Tam, J. P. and Liu, D. X. (2012). Up-regulation of Mcl-1 and Bak by coronavirus infection of human, avian and animal cells modulates apoptosis and viral replication. PLoS One 7(1): e30191. Tan, Y. W., Hong, W. and Liu, D. X. (2012). Binding of the 5'-untranslated region of coronavirus RNA to zinc finger CCHC-type and RNA-binding motif 1 enhances viral replication and transcription. Nucleic Acids Res 40(11): 5065-5077. Lee, K. G., Xu, S., Kang, Z. H., Huo, J., Huang, M., Liu, D., Takeuchi, O., Akira, S. and Lam, K. P. (2012). Bruton's tyrosine kinase phosphorylates Toll-like receptor 3 to initiate antiviral response. Proc Natl Acad Sci U S A 109(15): 5791-5796. Zhong, Y., Tan, Y. W. and Liu, D. X. (2012). Recent progress in studies of arterivirus- and coronavirus-host interactions. Viruses 4(6): 980-1010. Tay, F. P., Huang, M., Wang, L., Yamada, Y. and Liu, D. X. (2012). Characterization of cellular furin content as a potential factor determining the susceptibility of cultured human and animal cells to coronavirus infectious bronchitis virus infection. Virology 433(2): 421-430. Zhong, Y., Tan, Y. W. and Liu, D. X. (2012). Recent progress in studies of arterivirus- and coronavirus-host interactions.Viruses 4(6): 980-1010. Nasirudeen, A. M., Wong, H. H., Thien, P., Xu, S., Lam, K. P. and Liu, D. X. (2011). RIG-I, MDA5 and TLR3 synergistically play an important role in restriction of dengue virus infection. PLoS Negl Trop Dis 5(1): e926. Liao, Y., Wang, X., Huang, M., Tam, J. P. and Liu, D. X. (2011). Regulation of the p38 mitogen-activated protein kinase and dual-specificity phosphatase 1 feedback loop modulates the induction of interleukin 6 and 8 in cells infected with coronavirus infectious bronchitis virus. Virology 420(2): 106-116. Xu, L. H., Huang, M., Fang, S. G. and Liu, D. X. (2011). Coronavirus infection induces DNA replication stress partly through interaction of its nonstructural protein 13 with the p125 subunit of DNA polymerase delta. J Biol Chem 286(45): 39546-39559. Fang, S., Shen, H., Wang, J., Tay, F. P. and Liu, D. X. (2010). Functional and genetic studies of the substrate specificity of coronavirus infectious bronchitis virus 3C-like proteinase. J Virol 84(14): 7325-7336. L. H. Xu, S. Khadijah, S. G. Fang, L. Wang, F. P. L. Tay and D. X. Liu. (2010). Xu, L., Khadijah, S., Fang, S., Wang, L., Tay, F. P. and Liu, D. X. (2010). The cellular RNA helicase DDX1 interacts with coronavirus nonstructural protein 14 and enhances viral replication. J Virol 84(17): 8571-8583. Chen, B., Fang, S., Tam, J. P. and Liu, D. X. (2009). 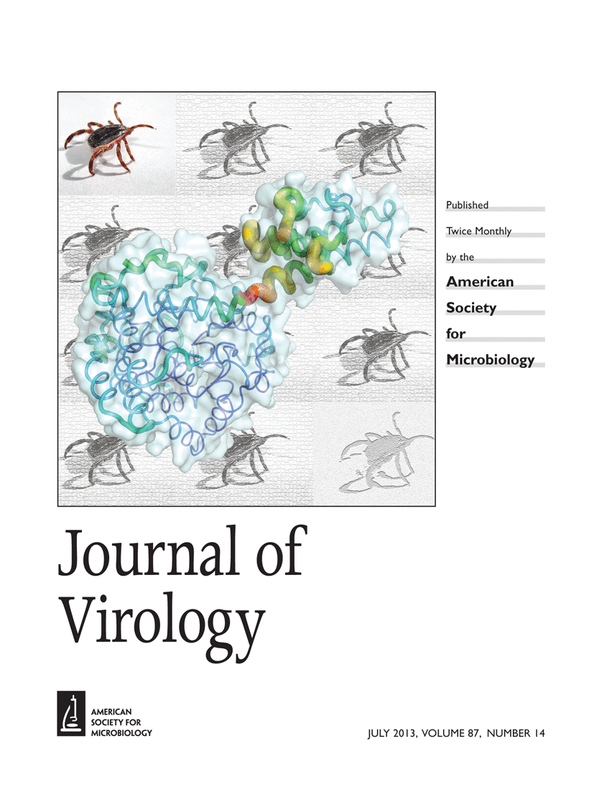 Formation of stable homodimer via the C-terminal alpha-helical domain of coronavirus nonstructural protein 9 is critical for its function in viral replication. Virology 383(2): 328-337. Loh, P. G., Yang, H. S., Walsh, M. A., Wang, Q., Wang, X., Cheng, Z., Liu, D. and Song, H. (2009). Structural basis for translational inhibition by the tumour suppressor Pdcd4. EMBO J 28(3): 274-285. Wang, J., Fang, S., Xiao, H., Chen, B., Tam, J. P. and Liu, D. X. (2009). Interaction of the coronavirus infectious bronchitis virus membrane protein with beta-actin and its implication in virion assembly and budding. PLoS One 4(3): e4908. Nasirudeen, A. M. and Liu, D. X. (2009). Gene expression profiling by microarray analysis reveals an important role for caspase-1 in dengue virus-induced p53-mediated apoptosis. J Med Virol 81(6): 1069-1081. Shen, H., Fang, S. G., Chen, B., Chen, G., Tay, F. P. and Liu, D. X. (2009). Towards construction of viral vectors based on avian coronavirus infectious bronchitis virus for gene delivery and vaccine development. J Virol Methods 160(1-2): 48-56. Pervushin, K., Tan, E., Parthasarathy, K., Lin, X., Jiang, F. L., Yu, D., Vararattanavech, A., Soong, T. W., Liu, D. X. and Torres, J. (2009). Structure and inhibition of the SARS coronavirus envelope protein ion channel. PLoS Pathog 5(7): e1000511. Yamada, Y. and Liu, D. X. (2009). Proteolytic activation of the spike protein at a novel RRRR/S motif is implicated in furin-dependent entry, syncytium formation, and infectivity of coronavirus infectious bronchitis virus in cultured cells. J Virol 83(17): 8744-8758. Yamada, Y., Liu, X. B., Fang, S. G., Tay, F. P. and Liu, D. X. (2009). Acquisition of cell-cell fusion activity by amino acid substitutions in spike protein determines the infectivity of a coronavirus in cultured cells. PLoS One 4(7): e6130. Wang, X., Liao, Y., Yap, P. L., Png, K. J., Tam, J. P. and Liu, D. X. (2009). Inhibition of protein kinase R activation and upregulation of GADD34 expression play a synergistic role in facilitating coronavirus replication by maintaining de novo protein synthesis in virus-infected cells. J Virol 83(23): 12462-12472. Xiao, H., Xu, L. H., Yamada, Y. and Liu, D. X. (2008). Coronavirus spike protein inhibits host cell translation by interaction with eIF3f. PLoS One 3(1): e1494. Lu, Y., Liu, D. X. and Tam, J. P. (2008). Lipid rafts are involved in SARS-CoV entry into Vero E6 cells. Biochem Biophys Res Commun 369(2): 344-349. Lu, Y., Neo, T. L., Liu, D. X. and Tam, J. P. (2008). Importance of SARS-CoV spike protein Trp-rich region in viral infectivity. Biochem Biophys Res Commun 371(3): 356-360. Nasirudeen, A. M., Wang, L. and Liu, D. X. (2008). Induction of p53-dependent and mitochondria-mediated cell death pathway by dengue virus infection of human and animal cells. Microbes Infect 10(10-11): 1124-1132. Fang, S. G., Shen, H., Wang, J., Tay, F. P. and Liu, D. X. (2008). Proteolytic processing of polyproteins 1a and 1ab between non-structural proteins 10 and 11/12 of Coronavirus infectious bronchitis virus is dispensable for viral replication in cultured cells. Virology 379(2): 175-180. Parthasarathy, K., Ng, L., Lin, X., Liu, D. X., Pervushin, K., Gong, X. and Torres, J. (2008). Structural flexibility of the pentameric SARS coronavirus envelope protein ion channel. Biophys J 95(6): L39-41. Fang, S., Chen, B., Tay, F. P., Ng, B. S. and Liu, D. X. (2007). An arginine-to-proline mutation in a domain with undefined functions within the helicase protein (Nsp13) is lethal to the coronavirus infectious bronchitis virus in cultured cells. Virology 358(1): 136-147. Li, F. Q., Tam, J. P. and Liu, D. X. (2007). Cell cycle arrest and apoptosis induced by the coronavirus infectious bronchitis virus in the absence of p53. Virology 365(2): 435-445. Liu, D. X., Yuan, Q. and Liao, Y. (2007). Coronavirus envelope protein: a small membrane protein with multiple functions. Cell Mol Life Sci 64(16): 2043-2048. Torres, J., Maheswari, U., Parthasarathy, K., Ng, L., Liu, D. X. and Gong, X. (2007). Conductance and amantadine binding of a pore formed by a lysine-flanked transmembrane domain of SARS coronavirus envelope protein. Protein Sci 16(9): 2065-2071. Le, T. M., Wong, H. H., Tay, F. P., Fang, S., Keng, C. T., Tan, Y. J. and Liu, D. X. (2007). Expression, post-translational modification and biochemical characterization of proteins encoded by subgenomic mRNA8 of the severe acute respiratory syndrome coronavirus. FEBS J 274(16): 4211-4222. Wang, L., Tam, J. P. and Liu, D. X. (2006). Biochemical and functional characterization of Epstein-Barr virus-encoded BARF1 protein: interaction with human hTid1 protein facilitates its maturation and secretion. Oncogene 25(31): 4320-4331. Liao, Y., Yuan, Q., Torres, J., Tam, J. P. and Liu, D. X. (2006). Biochemical and functional characterization of the membrane association and membrane permeabilizing activity of the severe acute respiratory syndrome coronavirus envelope protein. Virology 349(2): 264-275. Wang, X., Wong, S. M. and Liu, D. X. (2006). Identification of Hepta- and Octo-Uridine stretches as sole signals for programmed +1 and -1 ribosomal frameshifting during translation of SARS-CoV ORF 3a variants. Nucleic Acids Res 34(4): 1250-1260. Torres, J., Parthasarathy, K., Lin, X., Saravanan, R., Kukol, A. and Liu, D. X. (2006). Model of a putative pore: the pentameric alpha-helical bundle of SARS coronavirus E protein in lipid bilayers. Biophys J 91(3): 938-947. Yuan, Q., Liao, Y., Torres, J., Tam, J. P. and Liu, D. X. (2006). Biochemical evidence for the presence of mixed membrane topologies of the severe acute respiratory syndrome coronavirus envelope protein expressed in mammalian cells. FEBS Lett 580(13): 3192-3200. Koh, D. C., Wang, X., Wong, S. M. and Liu, D. X. (2006). Translation initiation at an upstream CUG codon regulates the expression of Hibiscus chlorotic ringspot virus coat protein. Virus Res 122(1-2): 35-44. Tan, Y. W., Fang, S., Fan, H., Lescar, J. and Liu, D. X. (2006). Amino acid residues critical for RNA-binding in the N-terminal domain of the nucleocapsid protein are essential determinants for the infectivity of coronavirus in cultured cells. Nucleic Acids Res 34(17): 4816-4825. Torres, J., Wang, J., Parthasarathy, K. and Liu, D. X. (2005). The transmembrane oligomers of coronavirus protein E. Biophys J 88(2): 1283-1290. Li, F. Q., Xiao, H., Tam, J. P. and Liu, D. X. (2005). Sumoylation of the nucleocapsid protein of severe acute respiratory syndrome coronavirus. FEBS Lett 579(11): 2387-2396. Fang, S. G., Shen, S., Tay, F. P. and Liu, D. X. (2005). Selection of and recombination between minor variants lead to the adaptation of an avian coronavirus to primate cells. Biochem Biophys Res Commun 336(2): 417-423. Fan, H., Ooi, A., Tan, Y. W., Wang, S., Fang, S., Liu, D. X. and Lescar, J. (2005). The nucleocapsid protein of coronavirus infectious bronchitis virus: crystal structure of its N-terminal domain and multimerization properties. Structure 13(12): 1859-1868.